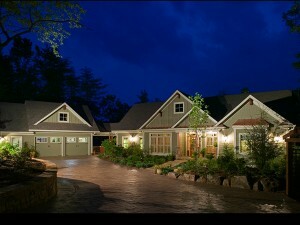 The experts at The House Plan Shop understand choosing a house plan can be both exciting and challenging. For many, it is the first time they actually get to plan and decide everything about their home from what it looks like to the rooms and special features inside. However, with so many stock home plans available it may be a bit overwhelming or challenging to narrow down your choices to the right floor plan. 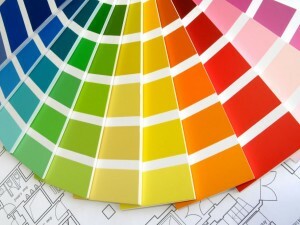 The following tips will help you settle on the right home design. Determine your home building budget. Take some time to determine your budget. Seeking home loan approval before you begin will help you stay within your means throughout the construction process and into the future. Research multiple lenders to find out who can offer the best deal. Determine “how much house” you can afford. Consider what you can afford to pay for your monthly house payment. Even though you may qualify for a loan of a large amount, it doesn’t mean that you can necessarily afford it. The last thing you want to do is make a mistake of getting in over your head with a house payment you can’t afford. Also, consider how much home owner’s insurance costs annually. How much will taxes cost you each year? These points will help you determine your budget and figure out exactly what is realistic in terms of your income. Your budget will influence the size of your home and the elements and features you choose to finish your home. It will also determine your house payment for years to come. Consider what features you NEED and what features you WANT. Make a list with your family of the room, spaces, special features and functional elements you’d like to have in your home. List all the things you have always wanted and include necessities too. If you NEED 3 bedrooms and 3 baths, write it on your list. If you need a separate office instead of a computer station in the family room, write it on the list. Next, separate your list into NEEDS and WANTS. This will help you incorporate all the elements necessary for family living. If there is additional money in the budget, then you can select items from your WANT list. Keep an open mind and be flexible. Maybe you WANT a kitchen island and snack bar with seating for five, but you only NEED seating for three. If you are getting tight on your budget, you might have to scale back and settle for what you need (a smaller snack bar) instead of what you WANT. If you have too many items on your lists, you can prioritize them and cut back latter. Be sure to be specific when listing your needs and wants. It will save you time later. Consulting with your builder is a very important step in selecting the right house plan. Often this professional has been in the home building business for years and has valuable insight when it comes to choosing house plans. Discuss your list of NEEDS and WANTS with your building professional. 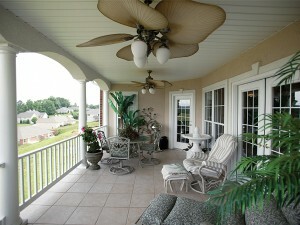 He or she will be able to help you narrow down your choices to the available floor plans that best fit your criteria. Educate yourself about geographic factors. When looking at various house plans and floor plans, it is important to keep in mind the specific factors of your geographic region. When building along a beach or shoreline, homes must be built on piers to accommodate potential rising tides, so considering a floor plan that is designed with a basement foundation is not going to work for your lot. Likewise, it is important to keep in mind the style of your home. If you are building in the middle of the Rocky Mountains, a Mediterranean style home might not be the best choice. It is important that you consider the style of the region. Should you ever want to sell your house, you need to make sure that it is similar to other homes on the market in your area. Taking time to research geographic factors of your region will help you eliminate house plans that are not suited for your area. Keeping these tips in mind as you browse through the broad selection of house plan available at The House Plan Shop will help you select a floor plan that is sure to satisfy your needs.